The increasing need for low-background counting led to the installation of a permanent counting station in the cold-neutron guide hall of Budapest Neutron Centre in 2010. The purpose of DÖME (DÖgnehéz Mérő Eszköz or “damn heavy measuring tool”) is to assist the in-beam activation measurements with off-line counting option on a routine basis, and to allow the measurement of environmental samples of low activities. The facility’s main features are the instant and local availability and the highly accurate activity measurement. The low-level counting station consists of an iron chamber manufactured from pre-World War II iron (recycled material of the bombed Elisabeth-bridge, 1945), and is therefore free of any man-made radioactivity. The wall of the chamber is 155 mm thick and has a graded shielding (148.5 mm Fe, 5 mm Pb and 1.5 mm Cu layers). 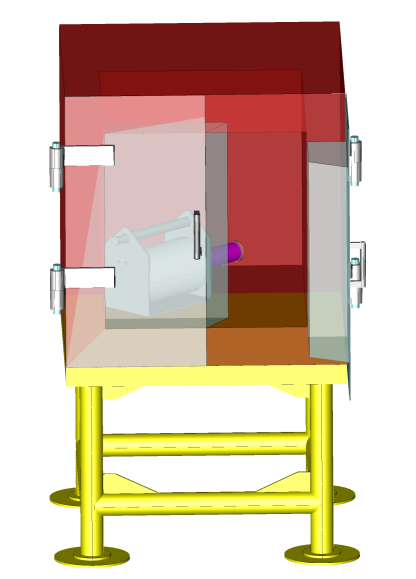 The chamber with an internal dimension of 800×800×800 mm3 accommodates a Canberra GR1319 HPGe detector of 13% relative efficiency with a BigMAC cryostat along its horizontal diagonal. This geometry allows sample-to-detector distances up to 250 mm. As an option for targeted measurements of low-energy lines, a Canberra Low Energy HPGe (GL1018) detector is also available with better energy resolution but for a narrower energy range (up to about 1 MeV). A Canberra DSA-2000 digital gamma spectrometer with 16k channels is used for the data collection. With the GR1319 detector the facility has a spectral background of about 1.39 cps over the energy range of 7-3150 keV, which compares to 211 cps outside the chamber (i.e. a reduction factor of 152). Dead-time losses during the experiments are typically below 1%. In-beam activated powder samples can be measured in the Teflon bag used for the PGAA or NIPS-NORMA experiment. Solid samples can be analyzed as received. For powdered environmental samples an easily re-sealable, radon-gastight sample holder from high density polyethylene was fabricated. The three main parameters of the facility are the detection efficiency, channel-to-energy calibration with nonlinearity and energy resolution. These are established using commercially available certified radioactive sources (152Eu, 207Bi, 60Co, 133Ba, 226Ra). The system is calibrated for contact geometry as well as for 32, 167 and 237 mm distances. The Efficiency, Nonlinearity and FWHM Analysis modules of the Hypermet-PC software are used for such calculations, while for the efficiency determination of larger, close-to-detector samples the Excel based Efftran efficiency-transfer program and its macros are used. 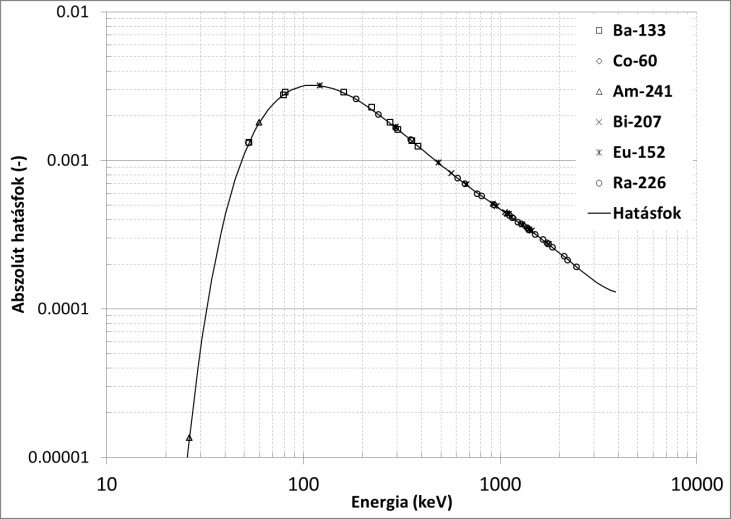 Figure 3: The absolute full-energy peak efficiency for point sources at 167 mm in the DÖME counting station.